The V&A’s renowned Fashion in Detail series has become essential reading for historians, costumers, designers, and fashion students alike. This impressive volume brings together for the first time highlights from all the titles in the series. 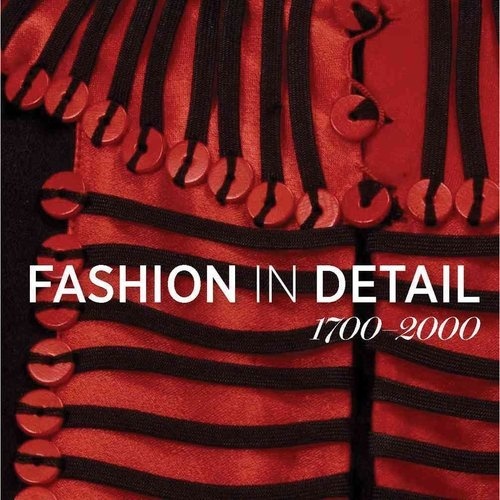 Drawn from the V&A’s Fashion Collection, the largest and most comprehensive in the world, the book showcases all varieties of dress, accessories, shoes, and hats, from exquisite 17th-century gowns to 20th-century daywear and haute couture. This chronological survey covers 400 years. The book contains concise and authoritative texts by V&A curators, glorious color photography including large, stunning details, plus specially commissioned line drawings of complete garments. The result is a visual banquet of textures, patterns, and craftsmanship and an eye-opening testament to the variety and creativity of dress.